In Salesforce a user can follow Chatter groups or Records. The chatter group manager can also add/remove peoples to the group, for this Salesforce provides out-of-the-box functionality. 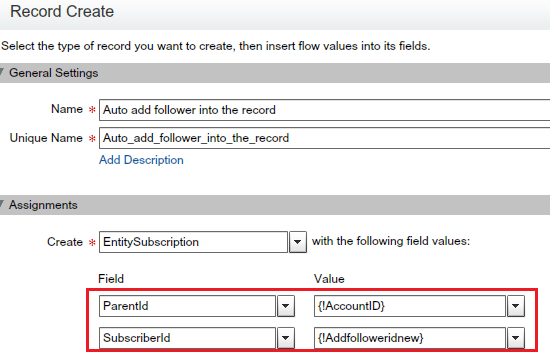 To manage record fFollower/Subscriber Salesforce does not have any inbuilt functionality like owner want to add follower or want to remove the follower from object records. 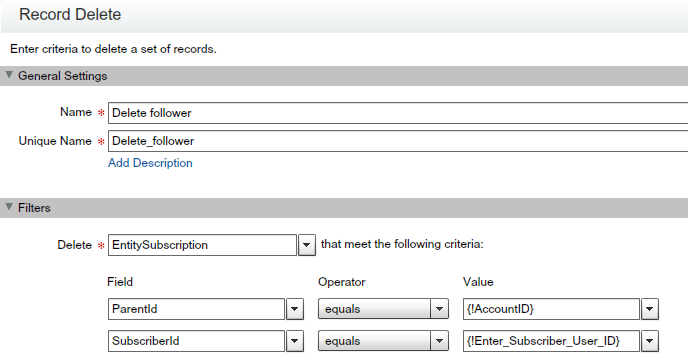 Higher management in Universal Container wants to develop an application for the system administrator so that they can use it to Add/Remove follower/subscriber to the account records. First of all, I want to say thanks to Andrew Johnson to share his idea and flow( Add follower to record) he shared in success community. In this blog, we will use Visual workflow to solve the above business requirement. My main aim is to show the various ways to use Visual workflow in your organization. Before going ahead with the solution you have to understand EntitySubscription Object. It’s Represents a subscription for a user following a record or another user. A user can subscribe to a record or to another user. We will remove the same follower that we added on the last step. 1) To remove the follower from the record, navigate to the Accounts tab and click on any Account Name to open it’s detail page, and click on the Remove Follower button. 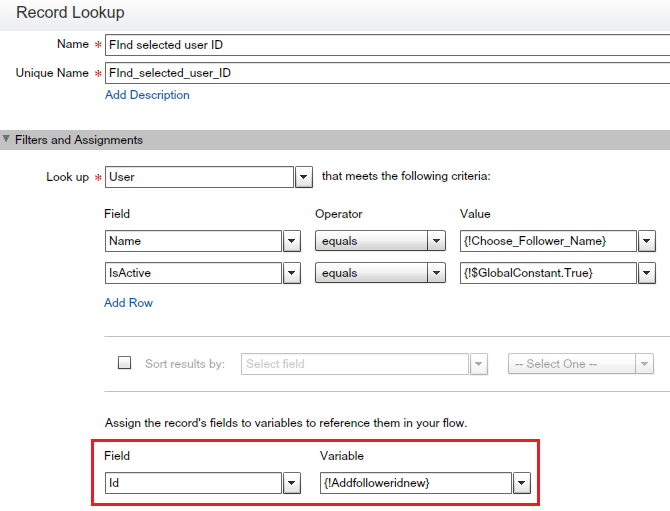 Note: – You can enhance Add/remove functionality by using Loop and collection (Spring’14 pilot feature) to show the list of users that are not following record. Currently, I am showing all users from an organization based on user name entered (Step 2 – Enter new subscriber name). Hi Rakesh, I configured above flow for adding Followers. But my scenario is – There are multiple person having same name but different Profile. So on screen 2 along with User Name I also want to display users profile beside name. Plz suggest How to do it? 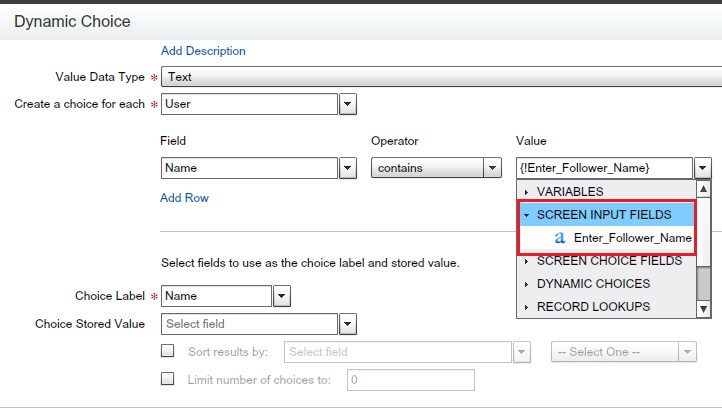 The easiest way – create a formula field in Salesforce, then use it as a display field. 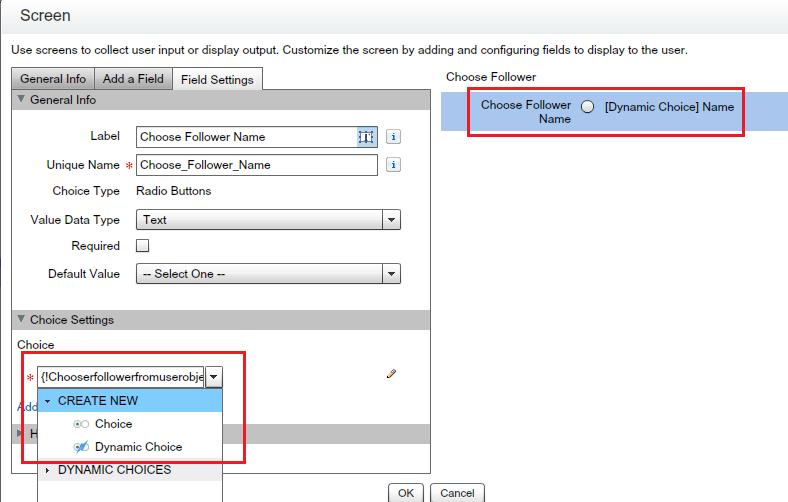 I was trying the adding follower option but getting error while creating records i.e. on step-4. I’m unable to figure out why AccountID/ParentId is coming out as NULL..